Can you tell us more about the system? Without that knowledge it'd be hard to point you into the right direction. In my 120, I have two lyretail anthias, a powder brown, and sailfin. The male anthias has got big since introduction and became a bully over the female. There were two other females I'm assuming died to either the aggression or from starvation as he wouldn't let them near the food. The tangs keep him in check, but even as I watch the tank the male is trying to bully. Sounds like just cramped territory aggression. I don’t think any rearranging or addition of more rock will help. It’d make things more cramped. There are tangs that can be in smaller tanks, like the tomini, but it shouldn’t be done with so many other tank mates. It will only cause issues and deaths. Well, a bristle tooth will work in there, though it isn’t due to their size it’s more about how they live. Seeing a picture though points out the problem, not enough rock. 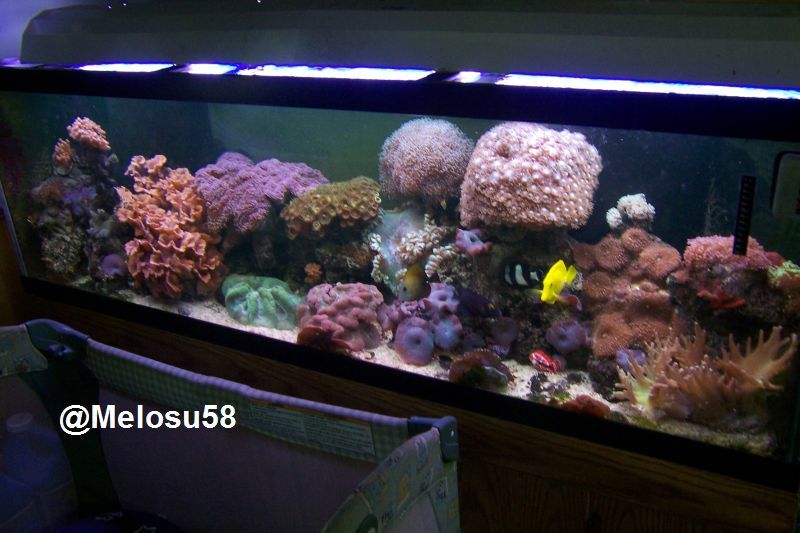 Here is a picture of my current reef to compare a I’m at 1 lbs per gallon of rock and sand. Are they still fighting? They might just be figuring out the pecking order.